Join VLT staff to help remove non-native, invasive plant species, pick up trash that would make it into the river and water new plantings at the Ocean Friendly Garden along the bike trail. River Restoration events are a part of VLT’s ongoing efforts to bring the Ventura River back to its natural state and make it more welcoming to human and wildlife visitors alike. Meet VLT staff at 9 a.m. next to the Land Trust’s beautiful informational kiosk at the Main St. Bridge along the bike path near downtown Ventura (at Main St. & Peking Streets). Please wear pants, sturdy closed-toe shoes, sunscreen and bring a shovel, refillable water bottle and a friend! Want to contribute more than sweat-equity? The Ventura Land Trust now offers affordable River Restoration Sponsorship opportunities. Environmentally-minded individuals and businesses are invited to support our habitat restoration work by financially contributing to the costs of cleaning, clearing and restoring the land. There’s no better way to put your money to work! 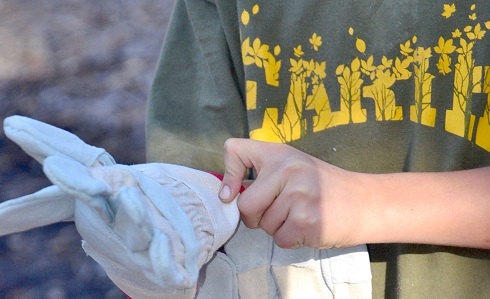 Because of the physical nature of the work, volunteers should be at least 12 years of age. Minors must be accompanied by a parent or guardian.